Parakkat Plantation Resort near Aluva - Munnar road is the perfect place in the city for nature enthusiasts. Apart from the natural beauty of Munnar, the hotel is near popular tourist sites like Attukad Waterfall, Chithirapuram Palace and Pothamedu Viewpoint. 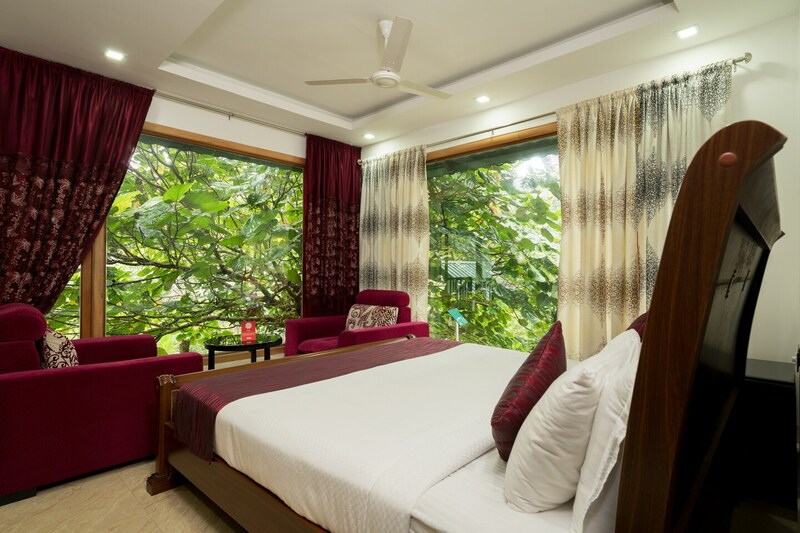 The rooms at the hotel are tastefully decorated with vibrant colors , contemporary wooden furniture, a comfortable sit out, large bay windows overlooking a lush green hillside and modern amenities like a television and geyser to keep guests comfortable. The property also has parking available on the premises and a 24-hour help desk. Meals and snacks are available in the dining area and restaurants near the property.